Sick of the PixelSkin HD - What case to get now? Discussion in 'iPhone Accessories' started by modafroman, May 22, 2011. I got a Pixelskin HD for my iPhone 4 with the case program back in the day, but now I'm kind of getting over it. It's stretched a little bit and so it doesn't fit as snugly and the edges keep lifting up my screen protector. So, whats the best/most popular case around these days to get? I kinda want a similar style of case... maybe this time in clear, I dunno. It would be cool to get an Aluminium style case, but I'd want one with a back too instead of just a bumper... are there any of those around that exist that aren't too crazy expensive? I got bored of that case too, I got an orange Apple bumper next, now I have a Speck Fitted Case, quite nice but the fabric back isn't for everyone. 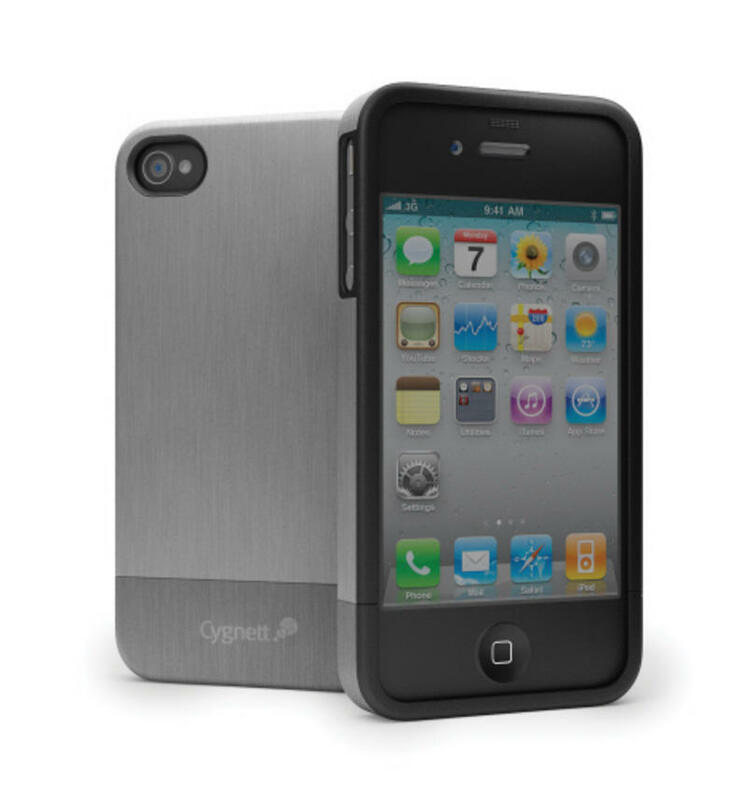 If you want an Aluminium case how about the Cygnett Aviator? It's dockable too and not too expensive. Well, an almost zero risk one to try ($9.99) is the MagPul. I am surprised how much I like mind (in Flat Dark earth color). Just a nice design with a nice feel. No clear, however. Anything from switcheasy except for the trim. I do like the look of some of the fitted cases, but I dunno if I want that style of case... hrm. Funny you should say that, We got my mum a switcheasy trim for her iphone 4, its actually a pretty nice case. Not looking for a otterbox style case, I hate those tank looking style cases... I just want a nice looking, slim but still protective case. Has anybody used the cygnett aviator?? I've been searching for real photos of it, but with no luck. I'm curious how thick it is? From the marketing photos, it looks like it might add a lot of bulk, but it's hard to say. The light gray aluminum and the darker colored bottom piece evokes memories of the 2G. The Magpul case is extremely slim - don't let the rugged looks fool you. It's a great case and nothing like an otterbox at all. Thanks, but I was hoping somebody might have some close-ups of the case rather than the marketing pictures. Judging by those pics, it looks great! Can anyone recommend any other cases? Getting really sick of the Pixelskin HD now, it keeps ripping up my screen protector even more and more argh. Really? The HD is he best case I have ever used for NOT causing my screen guard to peal. I had my last one on for 8 months till I scratched it. Yep. Because the case has stretched just ever so slightly and no longer fits the case all that well (the phone moves about in the case), and because the sides of the HD are pretty flexible, it just digs up the screen protector. I've applied about 5 different screen protectors (i'm on my 4th iphone 4 now because of various faults and ****ups on Apples behalf) and every single one has lifted up, and they have all been perfect applies. I'm thinking now I might get a Switcheasy Trim. They look great, I got my mum one for her iPhone and its worked brilliantly, and they are sold locally and they're not that expensive. Cute Leven Design Panda case for iphone 4 is great. Thanks, but i'm not a fan of the front lip that that case has. I'm still thinking the Switcheasy Trim might be the way to go.... or maybe the Vulcan? Just contacted Speck and they're going to send me a replacement for the Pixelskin HD, its just become way too loose and almost unusable. I opted to go for the SeeThru Satin Black as my first choice for replacement and then another Pixelskin HD as my second. I just got a white Incase slider perforated. It's not lifting up my PowerSupport Crystal shield. It's a nicely made case that looks different and clean. Very happy with it. Agreed, would love to see someone do a review on this case. Looks great from the promotion pic!